See what the contemporary urban attraction and dramatic meeting destination has to offer your next gathering. When visiting Chicago, it’s impossible not to visit Historic Navy Pier. Fun for visitors and locals alike, Navy Pier also happens to be a spectacular venue for events of all types and sizes. With two exhibit halls, 36 meeting rooms, The Crystal Gardens, many lake dinner cruises, as well as the Grand Ballroom and Rooftop, Navy Pier has the flexibility to accommodate many types of events. 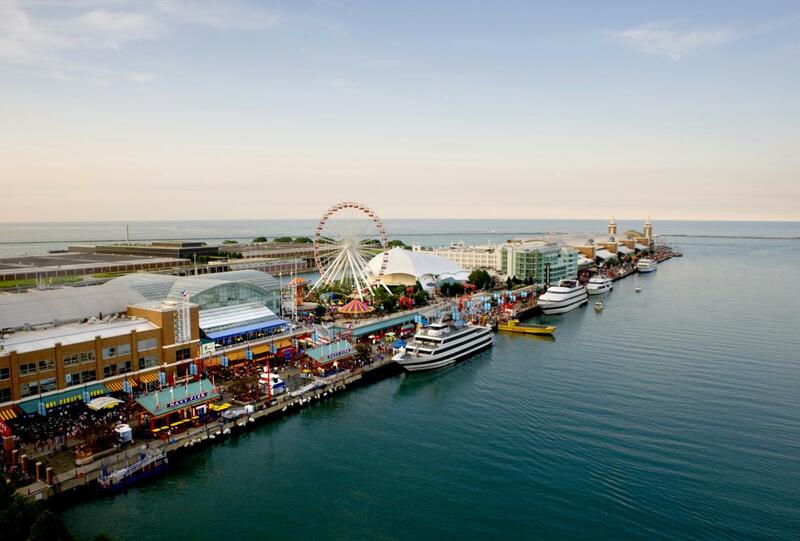 Centrally located on Chicago’s beautiful lakefront, Navy Pier offers the best views of the Chicago skyline. If you’re looking for a unique venue for your special event or top-level customer service for your meeting or trade show, Navy Pier is the ideal spot.